Today we’re talking guy style and senior pictures inspiration for any season. 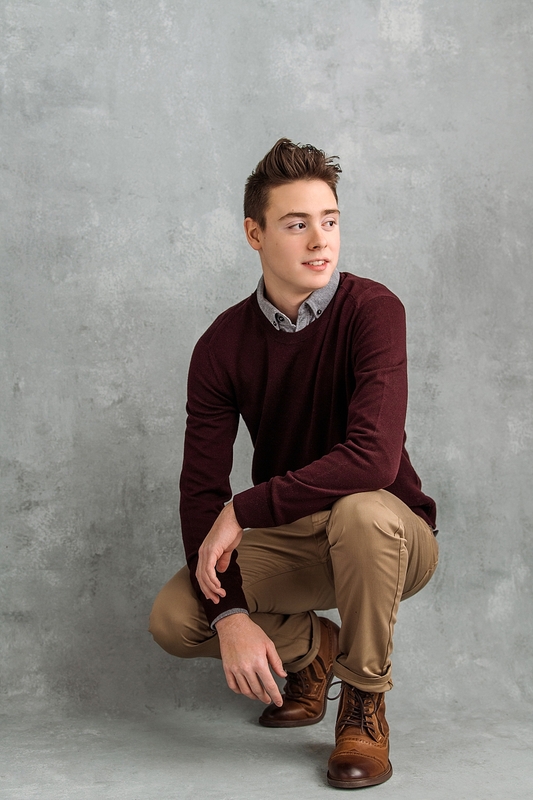 A timeless classic does not getting any better than this layered burgundy knit over a grey button down shirt paired with a neutral khaki trouser. 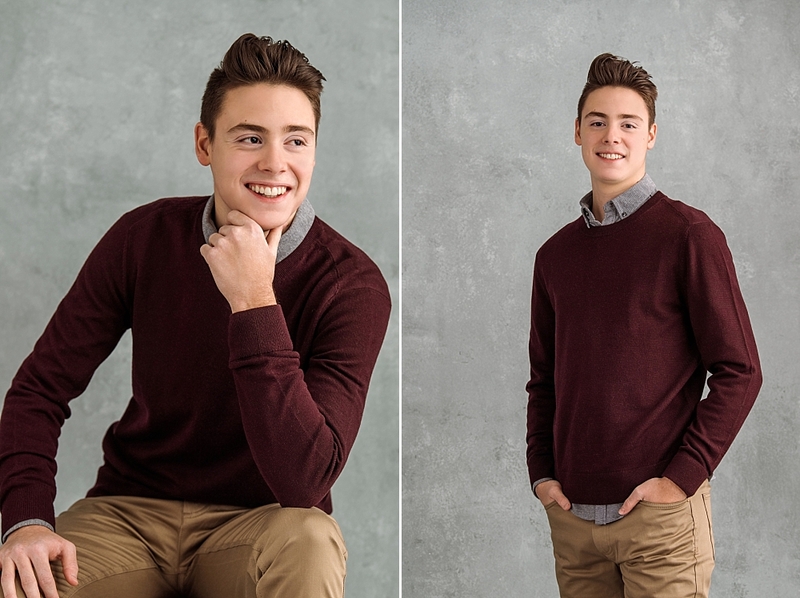 Zac from Mount Si High school is undeniable proof that it’s sweater weather any time of year. The magic is always in the details and that’s why we are also swooning over his shoe selection. His leather lace up kicks with a cuffed pant is just everything!